It all started with a massive road trip with my mom. Funny thing is, I ended up staying a night in Las Cruces, NM at the La Quinta on Avenida De Mesilla. Little did I know I would end up there one day! When i arrived in Florida, I had no idea where I was going to live and I hadn’t even applied for a job. I remember walking into the casting center and pretty much telling them I would do anything. Since I had done food service, they snatched me up right away because that is the busiest job in the park. 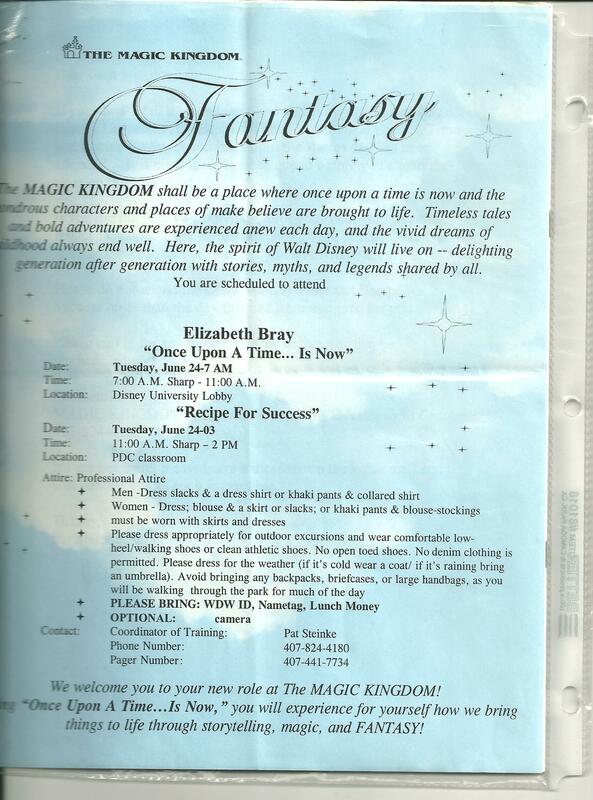 My second and third choice on my application was for attractions and characters. 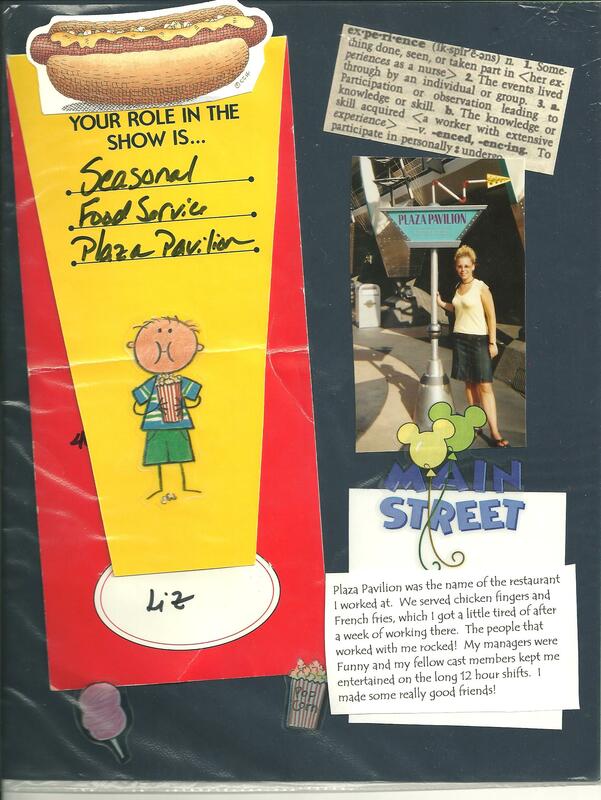 I was to work Seasonal at the Plaza Pavilion which was located in the Magic Kingdom Park. 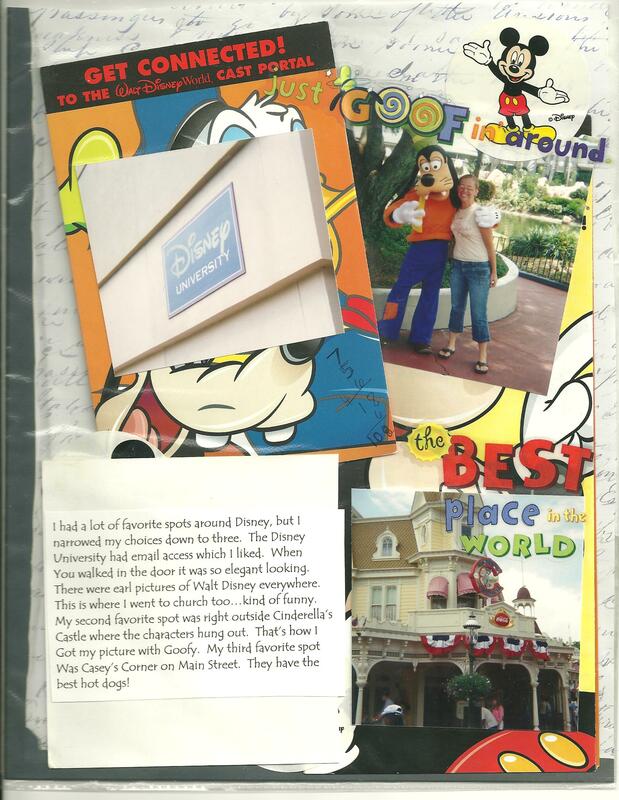 They made you go through a week of training, which included learning the history and timeline of Disney, learning about the best restaurants at Disney, as well as how to get around the massive property (this ain’t no Disneyland!). WDW is 25,000 acres of property. It’s crazy! 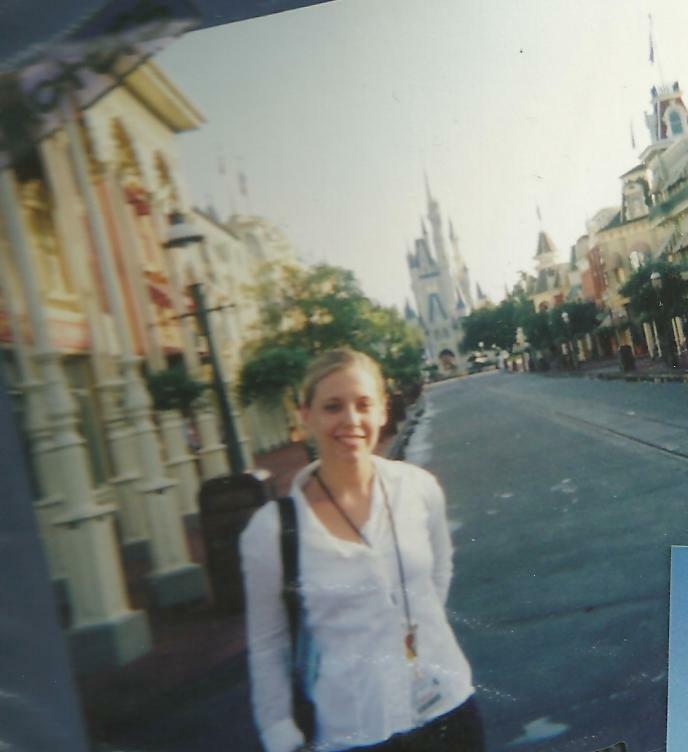 I had to dress up on my first day and we got a tour of the Magic Kingdom without people in the park. They taught us all the “secrets”. For example, there are a lot of hidden Mickey’s across the park and they were showing us how to find them. Also, they taught me how to get the high score on Buzz Lightyear’s Astroblasters! To this day, I can’t remember the secret….dang it! This is probably illegal, but here is the underground map of the Magic Kingdom. I would take a bus from the back parking lot. 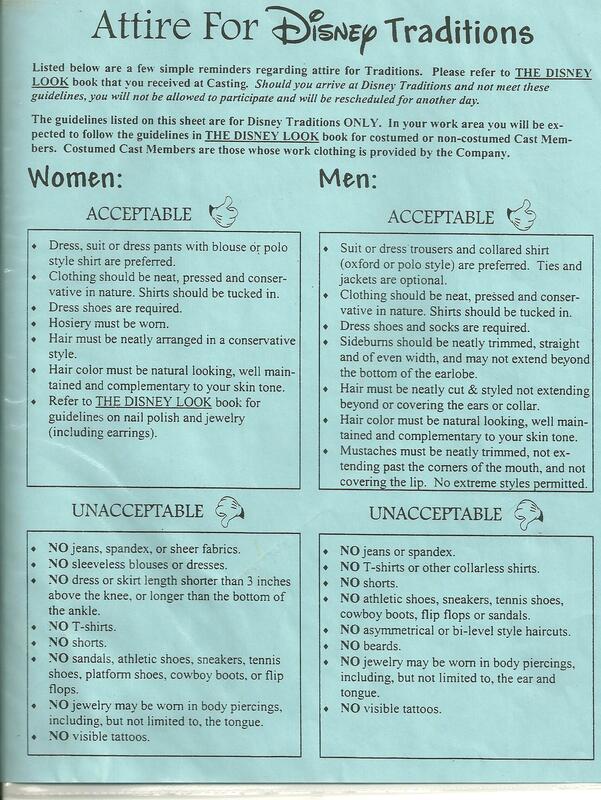 There I would go into the wardrobe department and grab my chefs outfit and then go to the locker room and change with Cinderella and Snow White and then walk over to Tomorrowland. 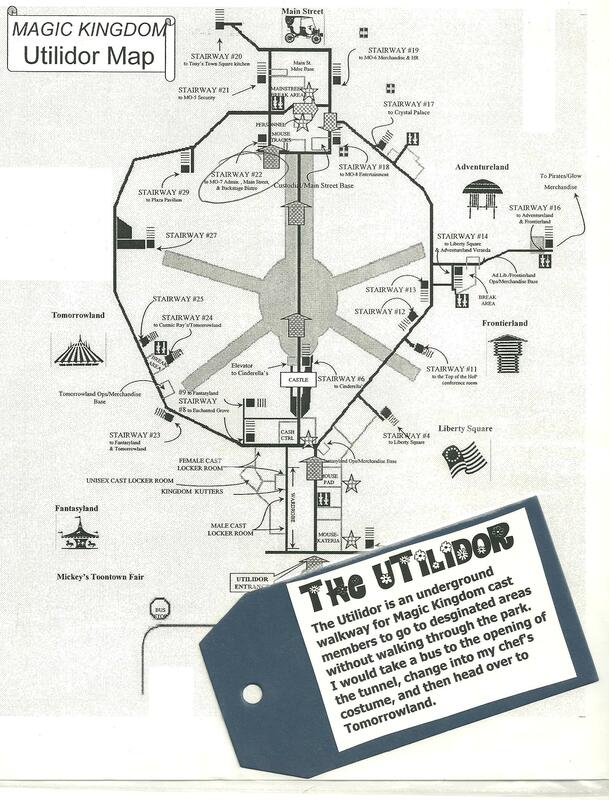 They call it the Utilidor. I loved the Disney University. I would sit in there and check my email and chill. Not to mention, my church met there every Sunday. Kind of funny to listen to my church service with pictures of Walt Disney all over the wall. I worked 12 hour shifts four days a week, but it was awesome on my days off because I had free access to all the parks. Not to mention, I was 45 minutes away from Cocoa Beach and an hour from Tampa. I spent the summer boogie boarding and shell hunting! I’m so glad I did it! Unfortunately, I was teaching at the time and had to go back to work! This entry was posted in Travel by thefasteryoupedal. Bookmark the permalink.